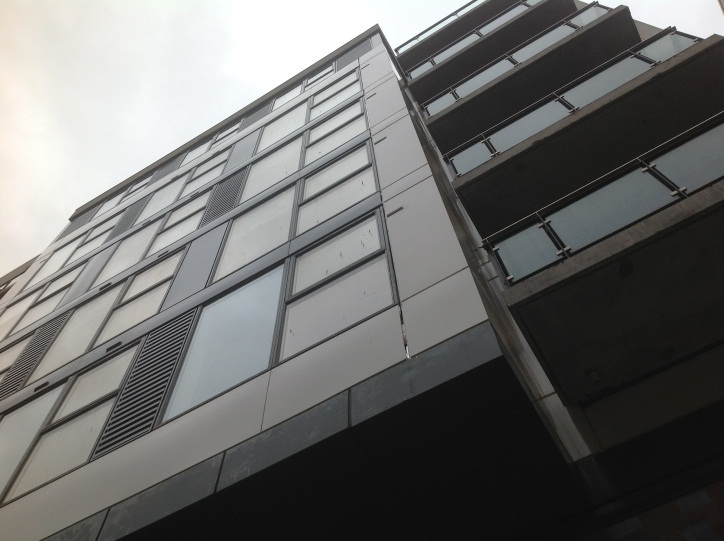 Certain defects and deficiencies in the works forming part of this Development were identified in 2010 and remedial works to remedy deficiencies were subsequently identified, notably in relation to the cladding panels and associated works to the apartments, common areas and external areas above first floor level. A Design Team lead by Cronin & Sutton Consulting completed remediation works to a sample façade panel in 2012 which was completed, tested and certified successfully. Includes the removal of the existing panels, provision of new structural supports to the windows, provision of waterproofing, fire proofing, insulation and the replacement of the metal panel. Remove individual stone units at the locations required to provide new vertical and horizontal fire cavity barriers and re-fix DPC’s around window openings, as per the works documents. Following the completion of the cavity barrier and/or openings works, re-fix stone with all fixings required to meet building regulations. Re-seal all stone joints. Typical works involve remedial works and completion works to bring apartments to a standard for sale/ rental. There were works required to extend the height of some of the high level balcony handrails to meet the building regulations at the time of construction. Works required to bring the fire safety issues to building regulation requirements at the time of construction and fire certificate compliance requirements for the apartments only. Mechanical and Electrical works are required to bring current installations up to building regulation standards at the time of construction for the apartments only. Works relating to compliance with building regulations and planning permission were completed to the basement -3, basement cores to residential blocks or crèche areas only, residential bin stores and waste management areas, crèches, Aldi service yard and mezzanine plant room areas to allow for safe occupation of the residential units only. These works were completed under a separate contract.